Today was the first day of class in season eight of The Starter League. I have been looking forward to it so much, needless to say I was awake at around 0400 ready to go, but the rest of Chicago was still asleep. So after another two hours of sleep, I was woken by my annoying alarm. After a shower, breakfast and making lunch, I started on my way around 0645, the streets were still pretty quite. It only took me about 30 min to get to Merchandise Mart. I was about an hour early for class, so I got online and did some work. Almost everybody was on time so we started at 0830, where Raghu and Jeff our instructors, started to explain more about how the classes would work. In class we need to do mainly listening, and thinking about questions. We get all the notes and additional info on The Starter League’s own system, so no need to take notes in class. 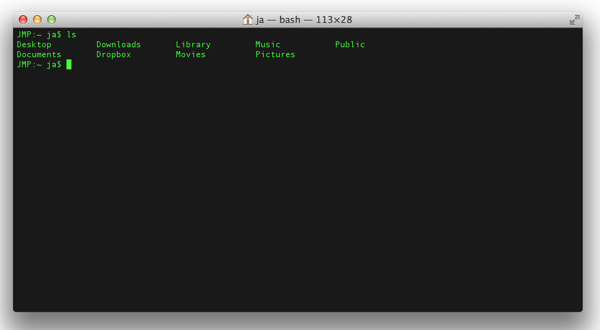 I had to change the settings of terminal to look more like matrix – now I can look like a real geek! We are learning from the beginning to do pair programming, the latest best practice. This means that you will always be two people per iMac, working together. To help facilitate this, you have to start to learn to articulate everything you do as you go along…. gonna take some time to get that right. They also encouraged us to just try things, play around, and build things. Try and have a pet project or idea that you can use to practice what we learn in class. First they will show us something in class, then we should try and do it ourselves from scratch, and keep doing that until we can do it without looking at the code they provide. Then use what we have learned on our own project. We started playing with the command line, and doing normal folder operations from there. Played with Sublime, a text editor that we are going to use to write the code in. Then we played around with some basic html, create some .html files from sublime and opened them in a browser. 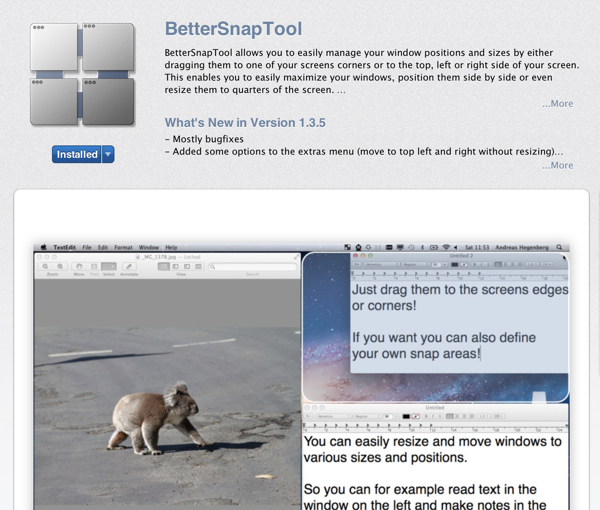 Raghu also showed us a very cool app that helps you to snap windows around on a Mac. Jeff explained a basic computer science model involving input – processing – outputs. He showed how even a basic calculator can be broken down to fit into this model. The key they want us to take away after 11 weeks is to ‘learn to learn’, so we can go on and become ever better. We all got a copy of ‘Learn to Program’ by Chris Pine, and we were pointed to online resource for HTML and CSS. Now there is a heap of stuff to do before the next class on Wednesday! This entry was posted in Chicago, Coding, Starter League on 2013/07/01 by Justinus.